The Platypus is a symmetrical top-mount cutaway deck with large functional kicks nose and tail. The 7 ply deck is light, the wheelbase is short for it's length so this board is meant to pop, shove and flip. 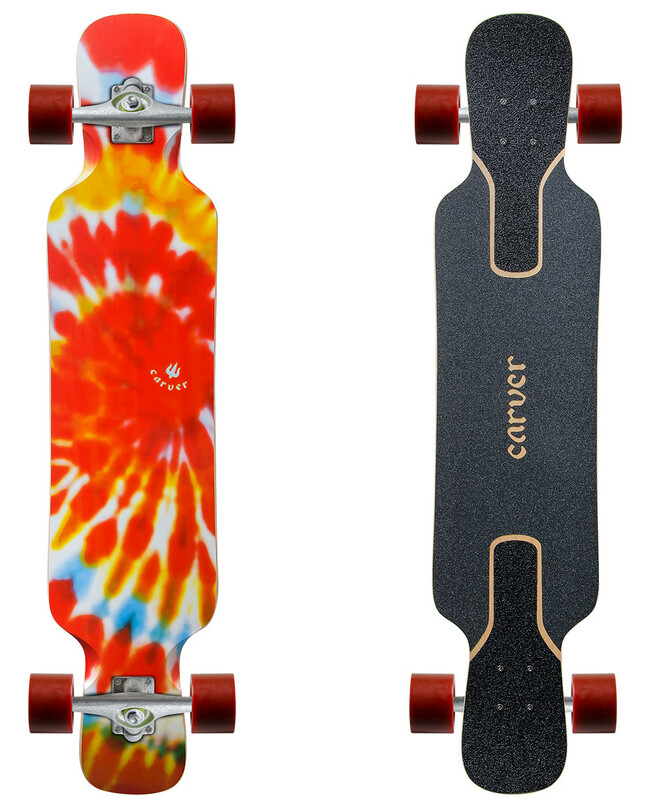 While it's taller than a dropped deck, the trucks mount without risers directly to the wood for a low profile, and the design of the cutaways along with the wheel wells means there will never be any wheelbite. Available in CV Top Mount only.